Benjamin Benny, solicitor, was born on 21 October 1869 at Aldinga, South Australia. Benjamin was the eldest son of the seven children of George Benny, Free Presbyterian minister and schoolteacher, and his wife Susanna, née Anderson. Benjamin first attended Morphett Vale Public School. When his father died penniless in 1879, Benjamin’s uncle, William Steele Benny, paid for his education at Thomas Caterer’s Commercial College, Norwood. In 1887, Benny was articled to his uncle’s city law practice for five years. He completed his final certificate in law at the University of Adelaide in 1891 and was admitted to the Bar in 1892. After his uncle’s death in 1898, Benny inherited the business. On 16 July 1896, he had married his cousin, Susan Grace Anderson, at Springfield, Yorke’s Peninsula. They established a home, ‘Stoneywood’, in suburban Seacliff and raised three daughters and two sons. Benny was an avid collector of old books and built up a library of over 2000 works. From 1901, he served on the Brighton Town Council and in 1902–05 was mayor of Brighton. 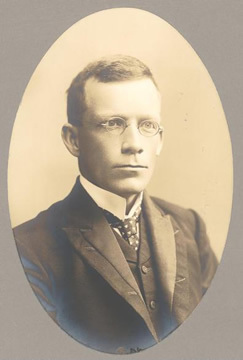 A member of the Law Society of South Australia from 1905, he was appointed Justice of the Peace in 1907. Benny was an active Presbyterian and a leading Freemason. In 1919, he became the first commodore of the Brighton and Seacliff Yacht Club. Despite having a ‘somewhat retiring disposition’, he honed his legal and political skills in the model parliament of the South Australian Literary Societies’ Union and in branch offices of the Liberal Union. After standing unsuccessfully in 1914, Benny was elected to the Senate as a Nationalist in 1919. He pursued a variety of issues at both federal and state levels. One of his first contributions was made in the debate on the Commonwealth Public Service Bill in 1920. Benny challenged Senator Pearce’s view that employees should not have an active role in the management of the Service; rather, he argued that management would be made more effective by allocating employees a share of responsibility—an advanced view for the time. ‘My sympathies’, he said, ‘have always been with the under-dog, whether he is in the Service or anywhere else’. Like many of his contemporaries, Benny believed that involvement in World War I had been a preparation for, and was proof of, Australia’s independence as a nation. He emphasised, however, that this was an independence set within the boundaries of the British Commonwealth. Further reflecting the policies of the time, Benny was opposed to the importation of ‘black labour’ into Australia. He expressed concern for the ‘protection’ and moral and physical welfare of the Aborigines of central and northern Australia. In support of the interests of South Australian wine growers, especially the soldier settlers of the Murray River region, Benny, who was a Temporary Chairman of Committees (1923–24), fought for changes to the Customs Tariff Bill. He supported the need for an increased duty on imported wines and brandy to shield local growers from the effects of importing an inferior product from France and Spain. He lobbied for the extension of the railway line linking Adelaide and Oodnadatta, not only to Alice Springs, but as far as Darwin. While advocating the need to populate and settle the Northern Territory, Benny maintained that any proposal for full parliamentary representation for the Territory would be premature—giving undue weight to a minority of the Australian population. Benny’s parliamentary interests were by no means confined to South Australian issues. Probably his most important work in the Senate was his contribution to the Bankruptcy Bill. The aim of the legislation was to secure uniform bankruptcy legislation for all the states. Essentially Benny believed the Bill would ‘secure what . . . creditors and debtors alike demand—efficiency at a minimum of cost, no unnecessary publicity, and just so much judicial and official control as is requisite to maintain evenhanded justice and to prevent fraud’. In introducing the second reading, he also added his voice to those beginning to press for the creation of uniform divorce laws. Underlying many of the views Benny expressed in the Senate was his concern for the rights of the individual. In helping to develop the clauses of the Bankruptcy Bill, his sympathies were clearly with the insolvent: ‘The true principle of British justice is that it is not the debtor’s duty to prove anything. That duty devolves on the creditors’. The irony of Benny’s words was to be revealed by the circumstances surrounding his own insolvency two years later—for it was in October 1924 that Benny had begun to overreach himself financially. Through land speculation in three states and by living beyond his means, he accumulated debts and embezzled clients’ funds, keeping only the one bank account into which he paid his own and trust moneys. The pressure resulted in three periods in hospital during 1925 due to a stroke followed by nervous breakdown. During the following year, he relinquished the directorships of three companies and on 26 January 1926 resigned from the Senate, expressing sadness at leaving the ‘Blue Ribbon of Democracy in Australia’. On 13 February, he was arrested and later charged with several counts of fraud. Again he entered hospital. With debts totalling £32 607, on 2 March Benny was struck off the roll of barristers. In the Supreme Court, Adelaide, on 3 May he was convicted of fraudulent conversion and sentenced to three years’ imprisonment with hard labour. Aged fifty-six on his admission to Yatala Labor Prison, Benny was of medium height, thin with a sallow, square face and grey eyes and whiskers; he wore glasses. On 21 January 1927 while serving his sentence, a certificate of bankruptcy was issued and he received a further eighteen months’ sentence, to be served concurrently. During Benny’s imprisonment, his wife supported the family. She established and ran a successful employment agency throughout the Depression, operating from her husband’s former law office. (In 1919, Grace had been elected to the Brighton Council; the Advertiser reported that she was the first ‘lady member’ of a municipal council in South Australia.) Released from gaol on 21 May 1928, Benny lived apart from Grace, finding work as a salesman in Beck’s Bookshop. He died at the Adelaide Hospital on 10 February 1935 and was buried in Scots Cemetery, Morphett Vale. His wife, three daughters, Kathleen, Eleanor and Mary, and his two sons, Ronald and Geoffrey, survived him. H. T. Burgess (ed. ), The Cyclopedia of South Australia, vol. 1, 1907, Cyclopedia Company, Adelaide, pp. 487–488; Averil G. Holt, The Vanishing Sands, City of Brighton, Adelaide, 1991, pp. 117, 228, 365; CPD, 28 February 1923, p. 12; The South Australian Literary Societies’ Union Yearbook, 1897, pp. 136, 149 and 1898, p. 58, Hussey & Gillingham, Adelaide; Advertiser (Adelaide), 11 December 1919, p. 10; Observer (Adelaide), 10 January 1920, p. 30; Susan Grace Benny file, ADB, ANU. CPD, 11 August 1920, p. 3411, 17 July 1924, p. 2161. CPD, 19 July 1922, pp. 536–537, 18 September 1924, p. 4446, 28 July 1922, pp. 896–897, 28 July 1921, pp. 10622–10624, 7 May 1924, p. 414, 4 September 1924, pp. 3938–3939, 19 July 1922, p. 537, 28 February 1923, p. 14, 2 August 1923, p. 2010, 22 September 1922, pp. 2606–2607, 27 September 1922, pp. 2702–2703. CPD, 15 August 1923, pp. 2763–2766, 3 April 1924, p. 283. Senate Registry file, A8161, NAA; Observer (Adelaide), 19 June 1926, p. 49; Benjamin Benny, GRG 66/5/1926, file 7629, SRSA; Australasian (Melbourne), 20 February 1926, p. 455, 27 February 1926, p. 522; Register of prisoners, Yatala Gaol, 1866–1931, GRG 54/41, vol. 7, 5278, SRSA. Suzanne Edgar, ‘Benny, Susan Grace’, ADB, vol. 7; Holt, The Vanishing Sands, p. 109; Advertiser (Adelaide), 13 December 1919, p. 11, 12 February 1935, p. 10. This biography was first published in The Biographical Dictionary of the Australian Senate, vol. 1, 1901-1929, Melbourne University Press, Carlton South, Vic., 2000, pp. 196-198.